Find resources to prepare for the Foreign Pharmacy Graduate Equivalency Examination, with practice tests and more. The FPGEE is published by the National Association of Boards of Pharmacy. (847) 391-4406	 The Foreign Pharmacy Graduate Equivalency Examination is a requirement of the FPEGC Certification Program. Description: FPGEE, NAPLEX and canadian evaluating exam books and cds at pharmacy exam. Description: FPGEE theory book at pharmacy exam. 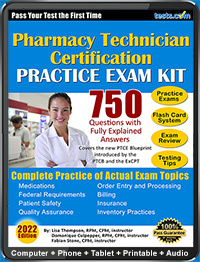 Description: FPGEE review guides and cd roms at pharmacy exam. Pharmacists must pass a series of exams and become licensed in order to practice. Pharmacists who were educated out of the United States must take the FPGEE to prove English competency so that they may be licensed in the US. Learn more about the FPGEE with our FPGEE Guide.